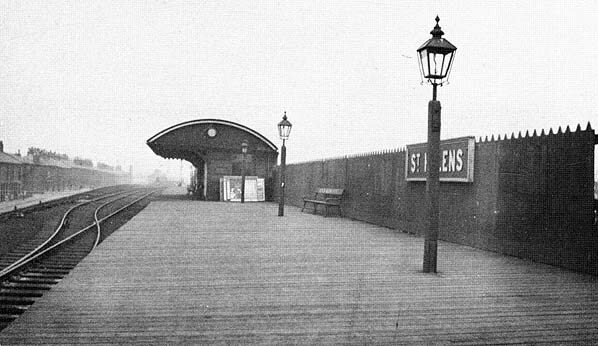 Notes: The simple terminus station that was St. Helens Central station was situated at the end of a branch which left the Glazebrook to Wigan Central line at Lowton St. Marys. This line had been sanctioned as early as July 1885 and the original intention was to create a line that would link Wigan to Southport by creating a route from Lowton St. Marys to Fazakerley Junction on the CLC North Liverpool Extension Line. The railway company that was formed to build the line the St. Helens and Wigan Junction Railway (became Liverpool St. Helens and South Lancashire Railway on 26.7.1889) was in constant financial difficulty and despite the first sod being cut on 28.1.1888 it did not open to goods traffic until 1.1.1895 and then only to St. Helens. It was to take another five years for the line to be brought up to passenger standards by which time any hope of continuing west had been abandoned. The line remained a minor branch line that was of far more use for goods as it linked to a number of collieries in the Lancashire coalfield. Passenger services were always secondary. In 1906 the line became part of the GCR transferring to the LNER in 1923. 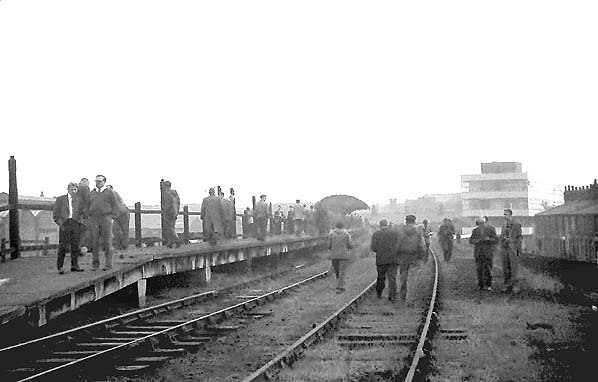 The station was a simple single platform with a waiting shelter situated on top of an embankment. The ticket office was at street level. It did not survive long into the period of nationalization closing on 1.3.1952. Today the name St. Helens Central lives on as the town's Shaw Street Station was renamed Central in the 1980s, long enough after the closure of the original Central to cause any confusion. Intermediate stations were at Haydock, Ashton in Makerfield, Haydock Park (race days only) & Golborne. Haydock Park retained its passenger service until the 1960's while the other stations all closed in 1952. The site of St. Helens Central Station in March 2007. 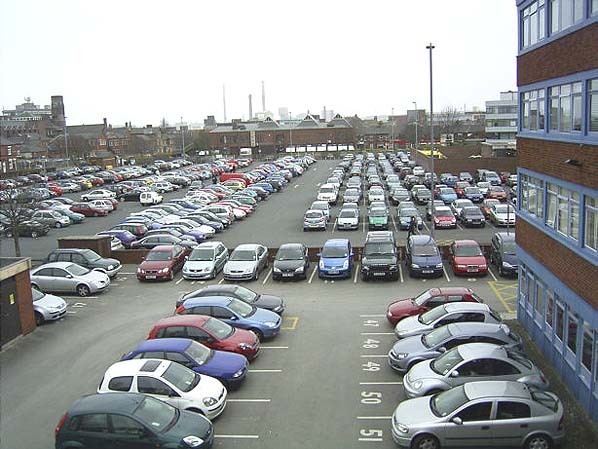 The Station would have been at a higher elevation than the present car park. This picture is taken from a similar viewpoint to the picture above. The office block behind the building on the right is visible in both pictures.